My ecological research is focussed understanding the fundamental biogeochemical processes such as nutrient and organic matter cycling, and ecosystem metabolism that support aquatic food webs. I have a specific interest in the ecology of algal and microbial biofilms in wetland and river systems. Biofilms are simply bacteria, fungi, algae, unicellular animals and detritus growing on submerged wood, leaves, stones and sediments. Where there is lots of light, biofilms will be dominated by algae, but in turbid rivers, light availability is reduced biofilms may be dominated by bacteria and fungi. Biofilms can be sampled easily and rapidly, occur on all submerged surfaces, and have short life cycles allowing a rapid response to changing conditions. My current research in education focus is on aligning assessment practices with broad outcomes in tertiary science courses, and innovations in first year university science teaching. I co-supervise a number of post graduate and honours projects in aspects of aquatic ecology. Doctor of Philosophy in the Faculty of Science (Zoology), the University of Adelaide, Department of Zoology. Masters of Education (Hons Class 1), University of New England. Bachelor of Science with Honours (First class) Department of Botany at the University of Adelaide. Ecohealth: assessment of river and estuarine condition in coastal rivers of northern NSW - 2009-17. North Coast Local Land Services, NSW Office of Environment and Heritage, DPI Fisheries and LGAs. Ryder, Mika, Burns & Vincent - Worley Parsons - (2016/17). ($208, 000). Bylong Valley Rehabilitation Review. Ryder, Mika, & Burns, (2016) - Port Macquarie Hastings Council (2016) ($18,000) Proposed Sewage Treatment Plants for the Hastings River Catchment: Water Quality Assessment Technical Report. Ryder & Burns - Port Macquarie Hastings Council (2014-16). ($150,000) Ecohealth: assessment of river and estuarine condition in the Hastings and Camden Haven catchment. Mika, Burns, & Ryder. - Bellinger Shire Council (2016). ($14,414). Water quality monitoring of the Bellinger and Kalang Rivers. Ryder & Burns - OEH, Northern Rivers Local Land Services, Richmond County Council (2014-15). ($157,000) Ecohealth: assessment of river and estuarine condition in the Richmond Valley. Ryder, Mika, & Burns – NRCMA, DSEWPaC. (2013, $70,000). Validation and sensitivity/ risk assessment of the DSEWPaC water asset condition data in the NSW Northern Rivers region. Ryder & Burns – Clarence Valley Council (2013). ($36,000) Assessment of low flows on the ecological condition of the Nymboida River. Clarence Valley Council. Ryder & Burns - OEH, NRCMA, Clarence Valley Council (2012-14). ($205,000) Ecohealth: assessment of river and estuarine condition in the Clarence Valley. 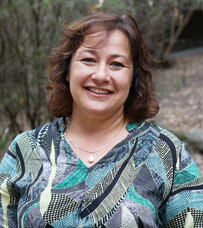 2012 (Honours graduate) Rebekah Abood – Trophic dynamics in the Hastings River. 2011. (Honours candidate) Jake Chandler – The impact of severe bushfires on stream foodwebs in the ACT. 2010. (Honours candidate) Sally Hatton - Impact of nutrient enrichment on the ecology of Urunga Lagoon. 2009. (PhD graduate) Emilie Mascarenhas – Using biofilms to develop a biological monitoring program to detect the impacts of water extraction in coastal rivers. Co-supervisor. 2014 (PhD graduate) Karlie MacDonald)– Modelling water quality in coastal rivers. Co-supervisor. Robertson, A. Burns, A, Hillman, T. (2016) Scale dependent lateral exchanges of organic carbon in a dryland river during a high flow experiment. Marine and Freshwater Research. Ryder, D.S., Vink, S., Bleakley, N. & Burns, A (2007) Managing sources, sinks and transport of natural contaminants in regulated rivers: A case study in the Murrumbidgee River catchment, NSW. In (Eds Wilson et al) Australian Rivers: Making a Difference 5th Australian Stream Management Conference, pp 354-359. Burns A. & Walker K.F. (2000) Effects of water-level regulation on algal biofilms in the River Murray, South Australia. Regulated Rivers: Research and Management.16, 433-444. (IF 2.028, 42 citations). Mika, S., Burns, A., Ryder, D. (2016) Water quality monitoring of the Bellinger and Kalang Rivers. Bellinger Shire Council. Ryder, D. Mika, S, & Burns, A. (2016) Ecohealth: assessment of river and estuarine condition in the Hastings and Camden Haven catchment. Ryder, D. Mika, S, Vincent, B, & Burns, A. Schmidt, J. (2016) Ecohealth: A catchment health monitoring program for the Macleay catchment. Ryder, D., Richardson, M., Mika, S., McDonald, K., Burns, A. and Lisle, P. (2014). Biological Monitoring of the Nymboida River: Report of Findings from October 2013 and January 2014 Low Flow Events. University of New England 58pp. Ryder, D., Richardson, M., Mika, S., Burns, A. and Lisle, P. (2013). Validation and sensitivity/ risk assessment of the DSEWPaC water asset condition data in the NSW Northern Rivers region. Ryder, D., Mika, S., Burns, A., Richardson, M., Veal, R., Lisle, P., Schmidt, J. & Osborne, M. (2012). Clarence Valley Ecohealth Project: Assessment of River and Estuarine Condition 2013. Final Technical Report to the CVC. University of New England, Armidale, 207pp. Ryder, D., Burns, A., Veal, R., Schmidt, J., Stewart, M. & Osborne, M. (2012). Hastings Camden Haven Ecohealth Project: Assessment of River and Estuarine Condition 2011. Final Technical Report to the PMHC. University of New England, Armidale, 311pp. Ryder, D., Burns, A., Veal, R., Schmidt, J., Robertson, M., Stewart, M. & Osborne, M (2012). Coffs Harbour Region Ecohealth Project: Assessment of River and Estuarine Condition 2011. Final Technical Report to the Coffs Harbour City Council. University of New England, Armidale, 161pp.